Ahead of the Glasgow 2014 Commonwealth Games, yesterday the Big Lottery Fund announced that six UK-wide projects, including the Big Big Sing, are sharing in funding of £5 million through the Keeping the Spirit of 2012 Alive campaign. 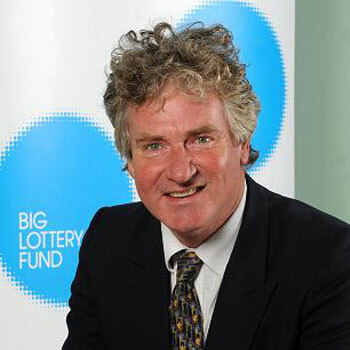 Big Lottery Fund Chair, Peter Ainsworth, tells us all about it. With less than a year to go to the Glasgow 2014 Commonwealth Games, yesterday we announced at the Emirates Arena in Glasgow that we have funded the Big Big Sing to take the celebration to communities across the UK through our Keeping the Spirit of 2012 Alive campaign. The 50 strong Love Music Community Choir from Edinburgh, one of the Big Big Sing choirs, gave an uplifting performance to mark the occasion and brought to life the positive impact something as simple as coming together and singing can make. Research has shown singing is good for people’s health, both mental and physical, and participating in this kind of positive activity with others helps to reduce social exclusion and can increase confidence and self-esteem. So it’s wonderful news that the benefits of being involved with the Big Big Sing can now be shared more widely. Big Big Sing is one of six UK projects sharing in over £5 million funded through the Big Lottery Fund’s Keeping the Spirit of 2012 Alive campaign which aims to inspire, engage, motivate and mobilise people across the UK to get involved in their community, to volunteer and to harness the collective spirit of 2012. I’m sure we can all still remember the ‘feel good factor’ that continued in the weeks and months that followed the Olympic and Paralympic Games last year. Established earlier this year with an endowment of £40 million from the Big Lottery Fund, the Spirit of 2012 Trust will focus on building on that legacy across the UK and developing work to support and sustain community related activities up to and beyond Glasgow 2014. The Spirit of 2012 Trust will now be looking to fund more projects like the six we have announced today. We want the Trust to look forward and not back – to support future events like Glasgow 2014 to be springboards for change in the communities that host them. As well as looking forward to the Games next year, the Big Lottery Fund will continue to strive to make a really positive difference to people and communities across the UK. Details of all the projects sharing in the £5 million grant from the Keeping the Spirit of 2012 Alive campaign are available in the Big Lottery Fund newsroom. Reblogged this on The Big Lottery Fund Scotland Blog.